"On 5 January 1859, in the Registrar's Office, at Magherafelt, in the Glenone Parish of Tamlight O'Crilly, County of Londonderry, Stewart Keenan married Isabella Gamble, daughter of Francis Gamble, farmer of Lisrodden, County Antrim .... the young couple booked their passage to Fremantle (Western Australia) in July 1859." Death Of Mr. S. Keenan. One of the oldest and best known residents of this district, Mr. Stewart Keenan, passed away at the age of 87 years on Sunday evening last. Only a week earlier deceased was in good health and spirits, and attended a meeting of the Progress Association and later walked a couple of miles through the bush towards home. A day or two later he became unwell, and toward the end seriously ill. Medical aid was requisitioned on Sunday, but before Dr. Yates reached the Margaret death had taken place. A post mortem revealed the fact that end web brought about by pneumonia and pleurisy. 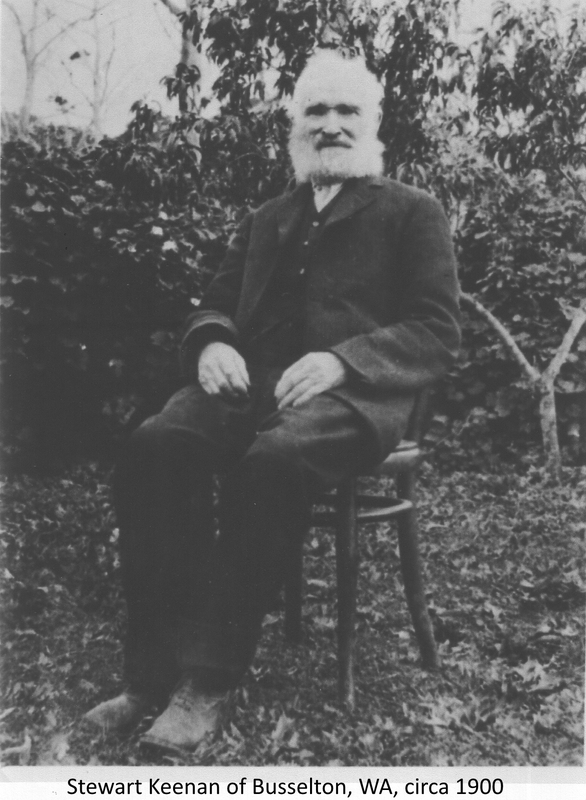 The late Mr. Keenan was born in 1834, in a fine old farmhouse at Port Glenone, Derry, Ireland, where his father and grandfather were born before him, and where some members of the family still reside. His earlier days were devoted to agricultural pursuits, but in the late fifties the name of Australia was being brought into prominence by the number of immigrants, and after being married in January of 1859, Mr. and Mrs. Keenan sailed from Plymouth in July of the same year, reaching Fremantle in the following October. This was the maiden trip of the sailing vessel " West Australia," which brought many other of our earlier residents to these shores. Mr. and Mrs. Keenan and the late Mr. and Mrs. Jos. Bovell were fellow passengers in the late Mr. Geo. Cross' little sailer " Wild Wave," reaching Busselton on the 1st January, 1860, after a three days trip from Fremantle. Although of small stature, Mr. Keenan was a tireless worker, and in the days that followed alternated farming and contracting. He was one of the first to urge a railway to the Margaret River, suggesting that the Busselton-Boyanup railway be carried through to Karridale very many years ago. In that agitation he never flagged, and although he did not live to see its completion, the fact that the preliminary work had been put in hand was a source of satisfaction. With the late Mr. Bovell, Mr. Keenan was also one of the first local residents to suggest a lighthouse at Cape Naturalista, a mark that hundreds of mariners hare since sighted with satisfaction. In all other public affairs affecting the district Mr. Keenan took a keen interest, and amongst the contracts he was engaged in were the building of the telephone line from Quindalup to Cave House, and construction of the Caves road. He leaves an aged widow, four daughters, Mrs. Hennessy (Goomalling), Mrs. J- Betts, Mrs. Neil McLeod and Miss M. Keenan, and three sons, Robt., Harry and William, for whom much sympathy is felt. The funeral took place on Tuesday the remains beiog followed to their last resting place at the Margaret River cemetery by a large number of old friends. The Rev. S. A. Miiward officiated at the graveside, and many beautiful floral tributes were sent from all parts of the district. A copy of the book written by Edward (Ray) Keenan in 1995 is being published on this website. 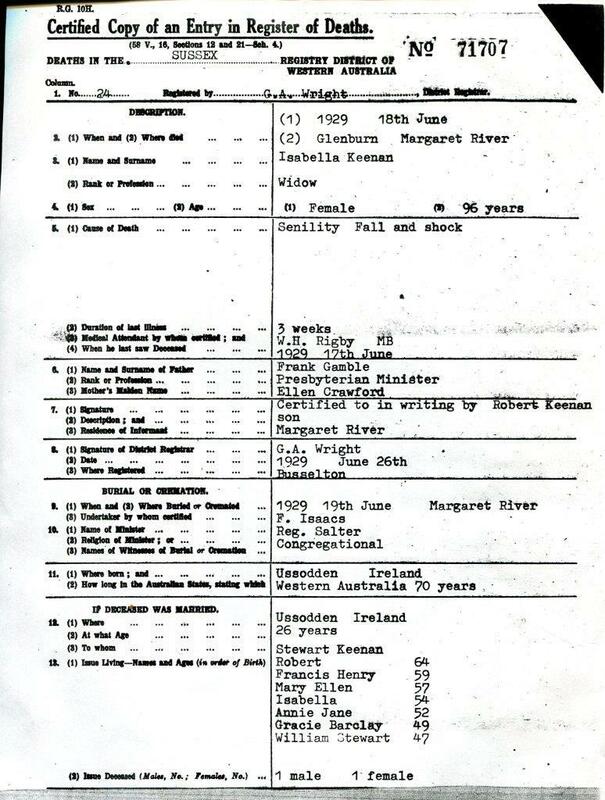 So too are transcripts he made of letters written by members of the Keenan family in Northern Ireland, Western Australia, South Africa and America (1873 to 1955). Edward Keenan was the adopted son of William Stewart Keenan (the last son of Stewart and Isabella Keenan) and Eleanor Jane Curtis. He was born in 1921 and adopted in 1922. He was also known as Ray Keenan. He passed away in 2004. Edward/Ray Keenan wrote another book titled "I Shook the Family Tree: the Story of an Adopted Boy". See HERE for extracts from his book. A signed copy is held in the National Library in Canberra. ISBN 1876760125. For more information click HERE. In the State Library of Western Australia there are 3 sound cassettes of interviews with Edward/Ray Keenan about his family background and his life as a farmer. For details go to http://henrietta.slwa.wa.gov.au/search~S2 and search Keenan. Stewart and Isabella Keenan travelled to Fremantle from London aboard the "West Australian". They embarked at Plymouth on 12 July 1859 and arrived on 20 October 1859. Isabella Keenan (nee Gamble), the daughter of Francis (Frank) Gamble and Elinor (Ellen) Crawford, died on 18 June 1929. A copy of her death certificate is available here. Stewart's brother, Robert Keenan (1836 to 1890), also came to Western Australia and became a farmer at Broadwater, The Vasse. Another of his brothers, Aaron Keenan (1844 - 1896), came to Western Australia aboard the "Strathmore", arriving at Fremantle from London on 12 June 1864. James Keenan (1859 - 1885). Never married. Eliza Isabella Keenan (1862 - 1900). Married James William Armstrong in 1886. Five children. Robert John Keenan (1863 - 1946). Never married. Francis Henry (Harry) Keenan (1870 - 1954). Married Florence Edith Sutcliffe. No children. Mary Ellen (Minnie) Keenan (1872 - 1961). Never married. Isabella (Bella) Keenan (1874 - 1969). Married James Christopher Hennessey in 1903. Three children: Stewart, Mary (Cissie) and Patrick. Grace Barclay Keenan (1878 - 1950). Married Neil McLeod in 1912. Three children: Neil Dudley (b.1913), married Bernice McEwan McKeown and had 4 children (Leonie, Keith, Neil and Lyall); Gamble (b.1915), divorced, no children; Isabel, Married Douglas Bill, 5 children. Anne Waghorn is a grandchild of Neil McLeod and Grace McLeod (nee Keenan). Information in this colour was supplied by Leonie McLeod, grand-daughter of Grace Barclay Keenan, on 17/3/2018. 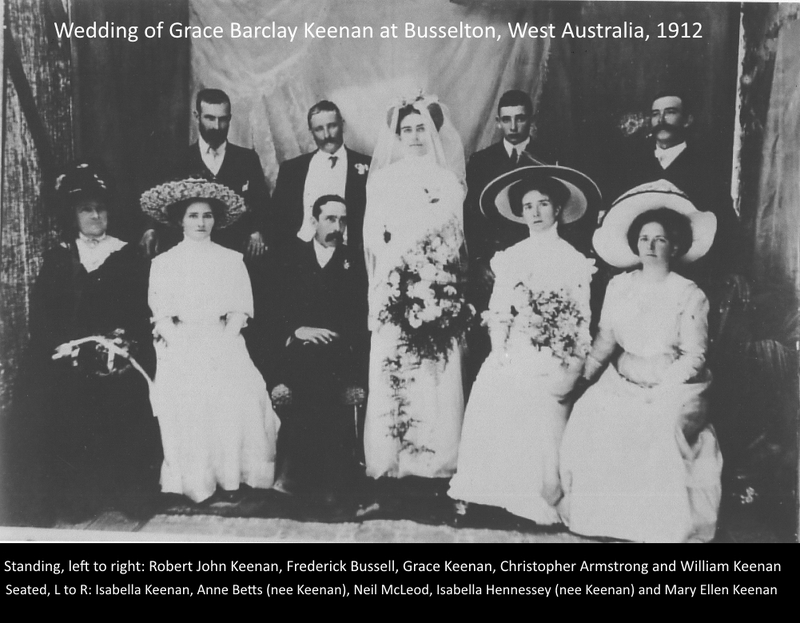 The photo below, taken at the wedding of Grace Barclay Keenan in 1912, was supplied by Anne Waghorn, as were the names of those present. For perhaps only the second time in over 100 years, members of the Eastern and Western branches of the Keenan family met in 2006. (The first meeting since the 1890s appears to have taken place in Sydney in 1996 at the home of Anita Arnold - see below.) 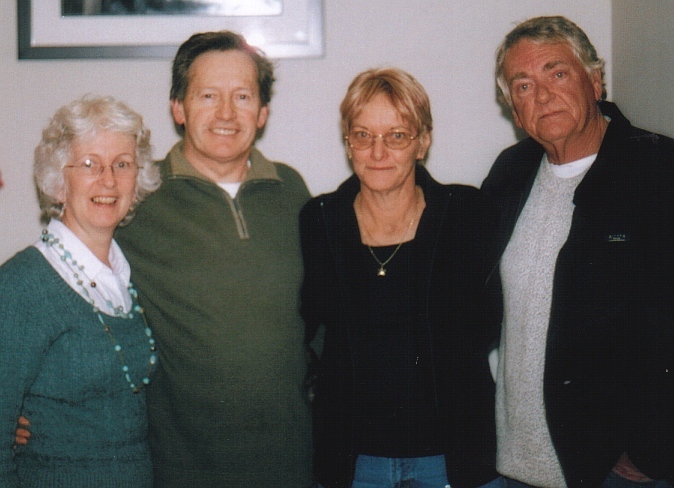 The meeting between Peter and Margaret Keenan of Melbourne, Victoria, (the East) and Anne and Terry Waghorn, of Spalding, Western Australia, took place at Peter and Margaret's home on 29 June 2006. 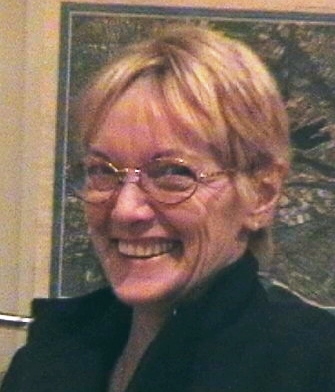 [PHOTO] Anne Waghorn [PHOTO] phoned Peter Keenan a few weeks earlier when she came across this website while searching the internet for references to the Keenans. Fortunately, she and husband Terry were coming to Melbourne for a few days on 27 June on their way to Sydney. Many thanks to Anne for making contact and for supplying us with so much rare and interesting material regarding the Keenans of Western Australia. More of this material will be published on this site as time permits: keep on eye on the News page. This information has been supplemented by information from Mrs Anita Arnold of Engadine, NSW. In relation to meetings between the two branches of the family, Mrs Arnold says "Ray Keenan's (Edward) son David visited me in 1996. I've enclosed a photo of Ray and Margaret Blond (nee Betts) daughter of Anne Jane Keenan and James Betts; also one of David taken at my place. See how much he looks like his Dad." These can be seen at Photographs. [I should also mention here that in the early 1890s Grace Catherall (nee Keenan) - the daughter of Henry John Keenan and Nancy Jane Keenan - and her husband lived in Western Australia with Grace's uncle Stewart Keenan and aunty Isabella Keenan (nee Gamble)]. * Mrs Anita Arnold states that Stewart was born on 16/2/1836. ** Anita states that William was born in 1877. *** This information supplied by Anita only. 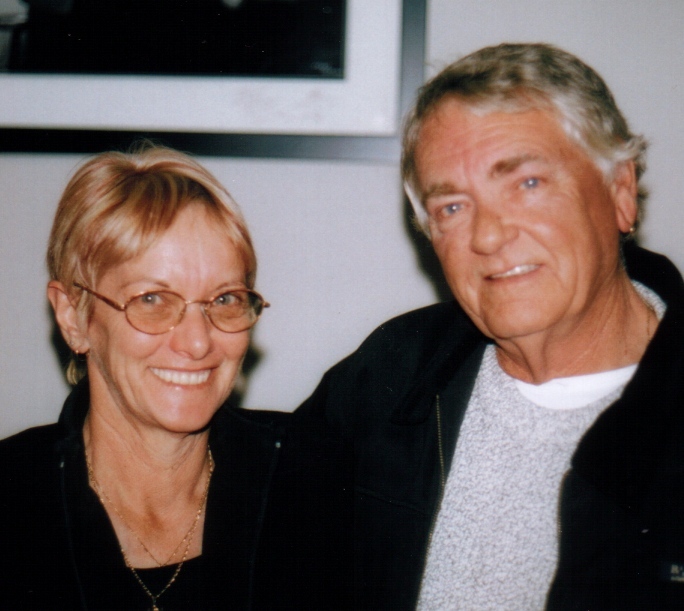 Those interested in knowing more about the Keenans of Western Australia should also go to the website established by Gil Hardwick of Margaret River, where they will find books, photos and family trees. "Glenbourne Homestead, a small farmhouse situated on the northern bank of Ellens Brook, Margaret River, was built by Stewart and Isabella Keenan in the late 1880s. In early 1859, Stewart Keenan, a farmer, and Isabella Gamble were married in county Derry, Ireland. In July of that year, they sailed from Plymouth on the West Australia’s maiden voyage, arriving in Fremantle on 20 October. After a short period in Fremantle, during which time their first child was born, the Keenans sailed to Busselton, arriving in early January 1860. Stewart and Isabella spent the following two years working on dairy farms in the Vasse, firstly for the McCourts and then for the Lockes. In 1862, the Keenans took out a seven year lease on Reinscourt, the property of Mrs Vernon Bussell. Under the terms of the lease, the Keenans acquired a portion of the stock. 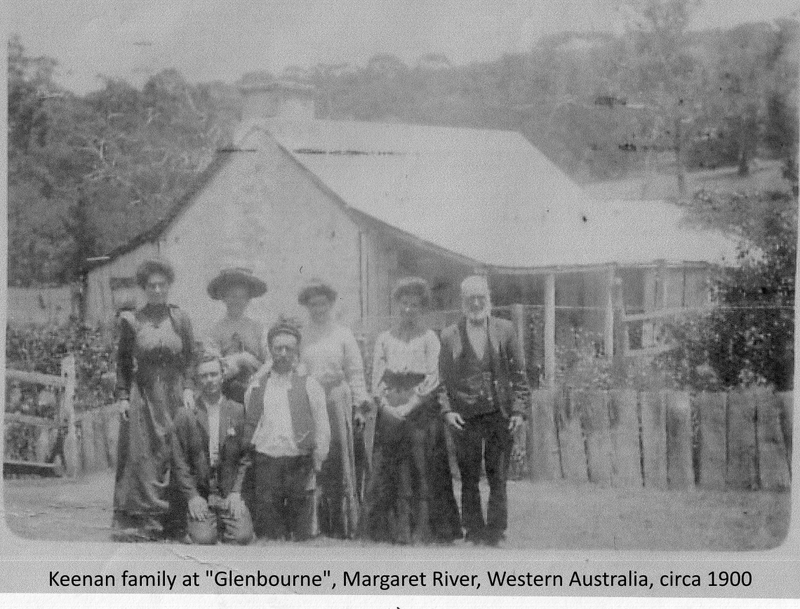 In the 1860s, the Keenans left Reinscourt to lease a dairy cattle property at Cape Naturaliste, which they later named Glenone after Stewart’s family property in Derry. At about the same time, Stewart took out a lease on 3,000 acres at Margaret River in partnership with James Forrest and Thomas Abbey. The property, named Rosa Glen, was used as a summer cattle run, and the families drove their stock between Margaret River and their Cape Naturaliste/Vasse properties each year. In the late 1860s, this land was leased by Keenan and Abbey, and later yet the Keenans held the lease alone. . . .."
To see the full document CLICK HERE. Other Heritage Listings and Surveys: 1. Municipal Inventory > Adopted > 17 Jun 1996 > Criterion 1; 2. Classified by the National Trust > Recorded > 1 Sep 1978; 3. Register of the National Estate > Indicative Place. 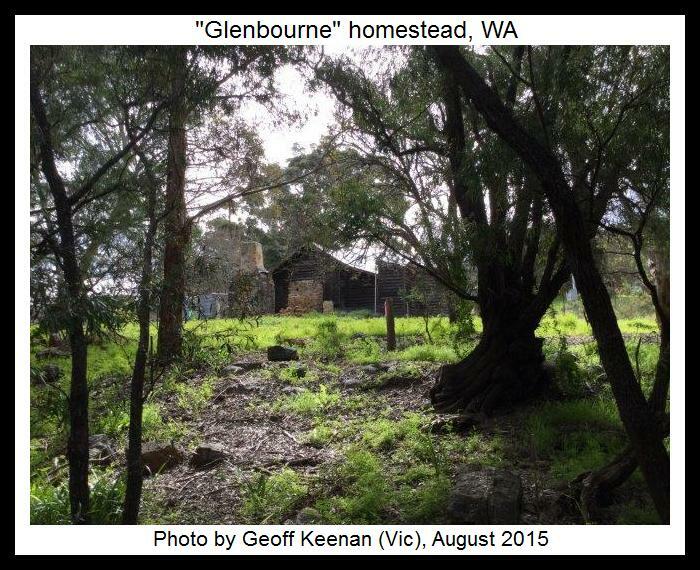 Statement of Significance: Glenbourne is an important site in the Margaret River area. It was built by the well known Keenan family, whose contribution to the development of the south-west is considered significant. The house was built using only local products, and for a specific community purpose which may have been unique in that area during the early development of the district. It is a reminder of the lifestyle of the period, building techniques (both original and later) and the type of industry that was prevalent at the time – hospitality as well as dairying and agriculture. Like many buildings, it has a special feature – in the dining/guest room area there is a large beam, which was famous during those days because it was so well cut and that no adze mark can be seen on it. For the above reasons Glenbourne could be considered as having a special historical significance, which may be viewed as complementing Ellensbrook House. Because of this, Glenbourne is a valuable heritage and tourist site on its own, as well as in conjunction with Ellensbrook. 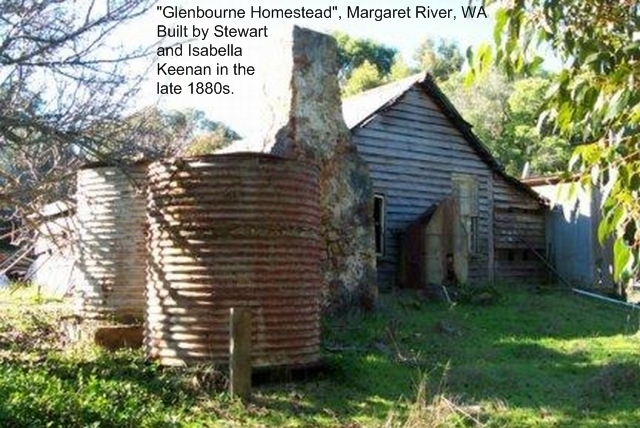 Physical Description: Glenbourne Homestead is a timber slab, stone and weatherboard farm house (partly demolished) and associated stone oven. Glenbourne Homestead is an uncommon example of a late nineteenth century house with later additions, in a semi-demolished state. As such, it demonstrates construction techniques not normally visible in an intact building of its type. History: In 1870 Stewart Keenan took up cattle run at the Margaret, securing 4000 acres around the area of Margaret River. The original lease was for Keenan as well as Mr Forrest and Mr Abbey. Eventually, Keenan took over the whole lease. The in 1887 Keenan took up a 200 acre block on the north bank of Ellensbrook, facing Spring Road [now Caves Rd] and in 1888 Keenan and his son-n-law, James Armstrong, began splitting timber for the building of a home. Glenbourne was built on granite ridge between a large creek and a high granite cliff, and is surrounded by karri and peppermint trees. Despite being near the sea it is in a picturesque setting. 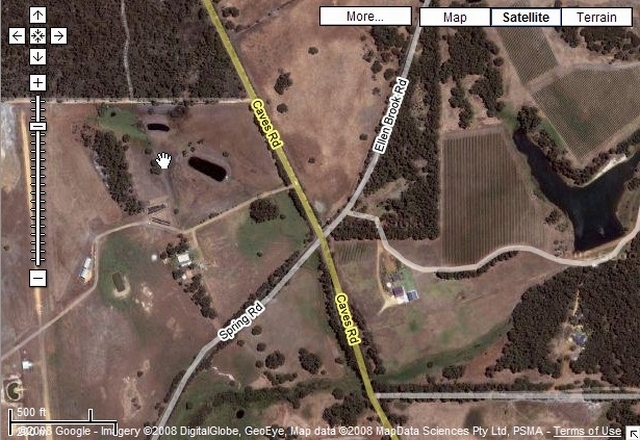 It is about 1km inland form Ellensbrook house and is close to the caves visited from Ellensbrook. The original structure consisted of a large dining/living area at the south end, another good sized room and an adjoining sitting room. A gable roof covered this part of the building. The jarrah rafters and shingles were split and hand trimmed by Armstrong. Purlins were 3x1 inch jarrah sawn. After the useful line of shingles, galvanised iron was nailed over them. At the rear of these rooms, under a skillion roof, were two small bedrooms and a kitchen with a stoned floor. In early days the sitting room and the two bedrooms were uncoiled, the dining/living area was afterward ceiled with stamped metal. Many years later the other rooms were ceiled with plain galvanised iron. A door opened for the kitchen to a cobble stoned area at the back of the house and washing facilities were arranged on a rough wooden slab running along the outside of the kitchen wall. The walls of the house from the kitchen door around to the south-east corner were built of rough granite stones from the immediate area. Two stone fireplaces, one in the kitchen and one in the dining room, served as a cooking and heating arrangements. Later, the dining room gave way under the weight of the chimney and so a timber frame was put in place, clad on the outside with jarrah weatherboards and on the stamped metal on the inside. A settlers fireplace (tin chimney) replaced the stone one. An earthen floor veranda ran the full length of the front of the house. Later the south end, nearest the brook, was made into a small bedroom with doors entering from the veranda and the dining room. This was known as Aunt Minnie’s room. The family moved into their new home in the winter of 1889, and commenced dairy farming operations. Glenbourne’s intended function was as a wayside inn – as a service for passing traffic on Caves Rd (former Spring Rd]. Most of the traffic was generated by the timber mills at Yelverton and Karridale. It was built by family members, including Keenan’s son-n-law James Armstrong, using materials from the immediate vicinity. The farm produce was used to feed the travellers. It was also the homestead for a large cattle run consisting of 2000 acres in Rosa Brook area, and 2000 acres north of Margaret River, up to Bramley. About the turn of the century, Grace and Jack Catherall (niece and nephew to Keenan) lived at Glenbourne and added two more rooms higher up the hill at the north end of the front veranda. These rooms were about 8x10 foot and 8 foot high, with a gabled roof. Although the Catheralls stayed only a short time this part of Glenbourne became known as “Jack’s House”. It was later used as a dairy and storeroom, but was unfortunately demolished in the 1960s. In the early 1920s Don Terry built a wall across the dining room to make it more private. He use a timber frame portion, clad with jarrah in the passage side and stamped metal on the inside. During the 1950s toilet and washing facilities were built adjacent to Aunt Minnie’s room. The work was done by Ray Keenan and Roy Hill. Alterations to the walls were also carried out. Most of the flooring was rough jarrah boards. Glenbourne has an association with the local Nyungar community. It was visited by Aboriginals and Queen Jinny stayed there on a number of occasions. It is believed that Queen Jinny and Isabella Keenan formed a strong relationship, particularly after King Bungitch died. Glenbourne was involved in some historical incidents and issues. Stewart and Isabella Keenan were Irish and often helped people who had similar sympathies. They hid illegal liquor trafficker from the Police and they also, as the tale is told, Helped Moondyne Joe escape from the authorities. The Keenan’s two daughters cut the track between Glenbourne and the railway (north of the Margaret River) so that produce could be transported by horse and cart instead of by horseback. This track is now called carters Road. References: Bob Blond; "Nomination Form". Margaret Blond; "Transcript of tape recording - History of Glenbourne". Ed Keenan; "Glenbourne: Margaret River" attached to nomination form (1992). Gail Cresswell; "the Lighthouse of Leeuwin", Margaret River (1989). The Heritage Council of Western Australia has listed Glenbourne as a significant site and has provided funds for its upkeep. The small farmhouse situated on the northern bank of Ellens Brook, Margaret River, Western Australia, was built by Stewart and Isabella Keenan in the late 1880s. 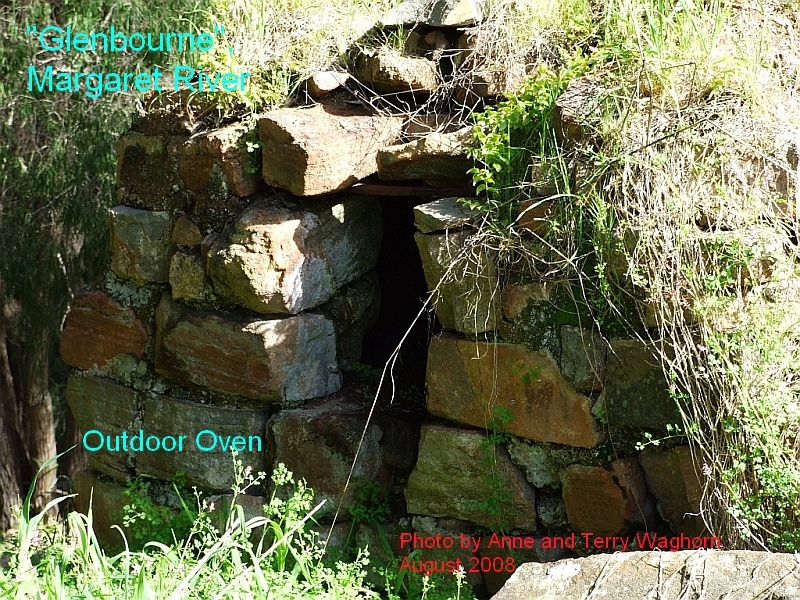 I have obtained two photographs of Glenbourne from the website of the Heritage Council of Western Australia (see the first two photos below). 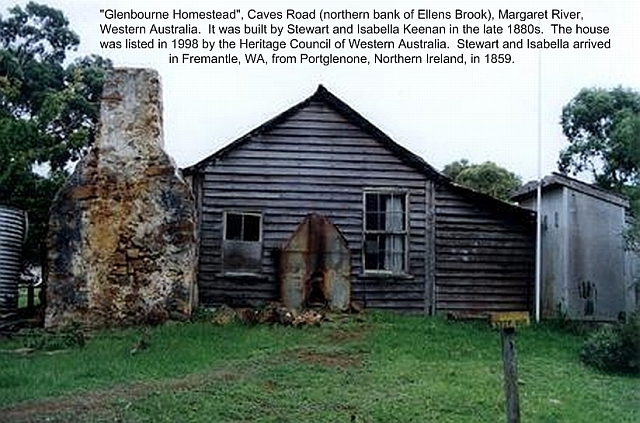 Glenbourne Homestead is a timber slab, stone and weatherboard farm house (partly demolished) and associated stone oven. Glenbourne Homestead is an uncommon example of a late nineteenth century house with later additions, in a semi-demolished state. As such, it demonstrates construction techniques not normally visible in an intact building of its type. NOTE: The co-builder named here, James Armstrong, is the son-in-law of Stewart Keenan. "Hi Peter, Margaret and all the family. Hope this finds you all well. 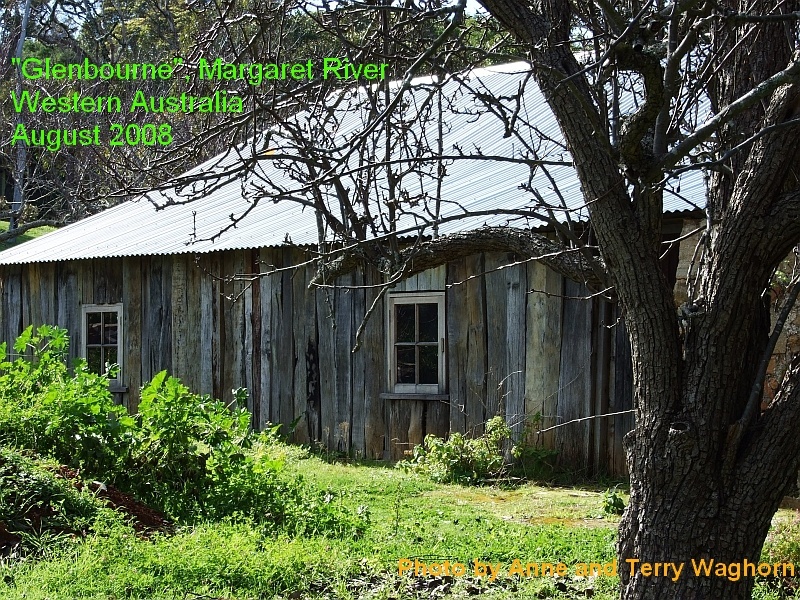 Terry and I were down in Margaret River weekend before last and went out to see the old Keenan house. Thought you might like a photo of it. Was wonderful to go and see, you could stand back and imagine them walking around. My cousin Keith took us out to it and also pointed out the out door oven they used to use. They are still working on the restoration and are hoping to be able to get some shingles for the roof so it will be as it was. There are still some old fruit trees and a huge old mulberry tree they planted. Keith says the mulberry tree has a huge crop around January, so may have to take a trip down in Jan 09. Just a short note for now hope you like the photos, Cheers Anne & Terry. 18/8/2008"
The site of the Busselton Family History Society. 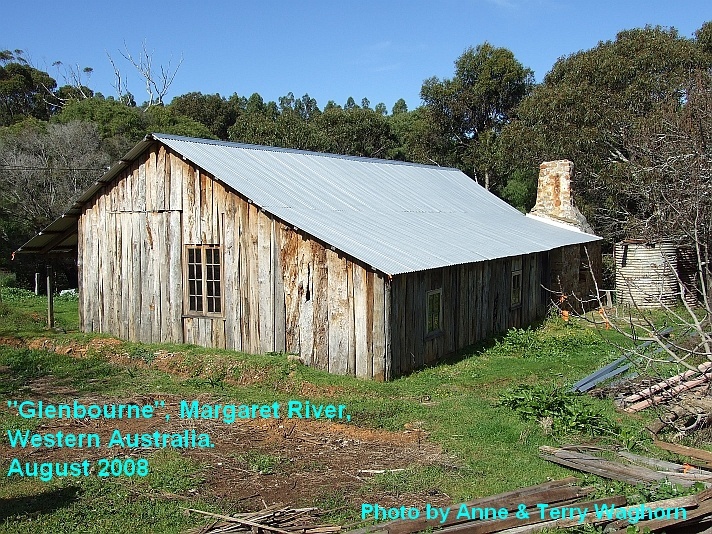 Heritage Trail: Margaret River. Page 2 of this brochure makes brief reference to the settlement by Stewart Keenan. Passenger ships arriving in Fremantle 1829-89 (the Strathmore). Wreck of Strathmore ship in 1875. See also New Zealand Maritime Index 1 and NZ Maritime Index 2. Anyone who wants more information is invited to contact us.